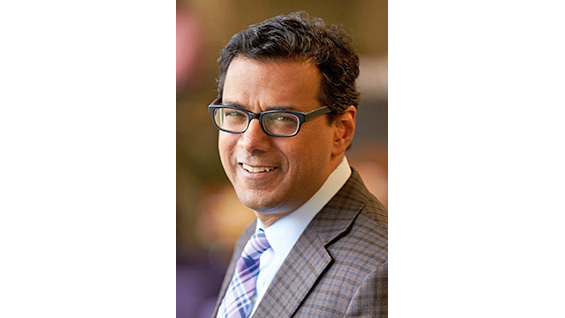 Atul Gawande, MD, MPH, surgeon, writer, and public health researcher, will deliver the 2018 Benjamin Menschel Distinguished Lecture. It is free and open to the public but reservations are requested. Please reserve your seat here. Dr. Gawande practices general and endocrine surgery at Brigham and Women’s Hospital in Boston, MA. He is Professor in the Department of Health Policy and Management at the Harvard T.H. Chan School of Public Health and the Samuel O. Thier Professor of Surgery at Harvard Medical School. He is also Executive Director of Ariadne Labs, a joint center for health system innovation, and Chairman of Lifebox, a nonprofit organization making surgery safer globally. Atul has been a staff writer for The New Yorker magazine since 1998 and has written four New York Times bestsellers: Complications, Better, The Checklist Manifesto, and most recently, Being Mortal: Medicine and What Matters in the End. He is the winner of two National Magazine Awards, AcademyHealth’s Impact Award for highest research impact on healthcare, a MacArthur Fellowship, and the Lewis Thomas Award for writing about science. THE BENJAMIN MENSCHEL DISTINGUISHED LECTURESHIP is made possible through the generosity of the Horace W. Goldsmith Foundation. This highly regarded endowed lecture series has provided a public platform for some of the most renowned writers, scientists and prominent intellectuals of our time. It takes place in Cooper Union’s historic Great Hall, which has stood for more than a century as a bastion of free speech and a witness to the flow of American history and ideas.